... monday ... - Hi, I'm Titaz! waw...you have a lot of bracelets.. I love all of your bracelets mixed with the watch, super cute! 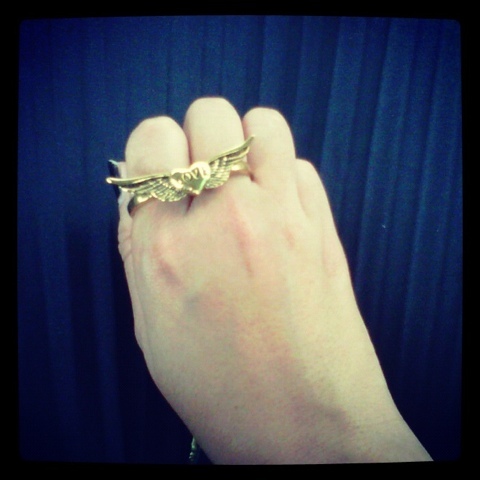 i love accessories, fab ring! really nice blog and pics! Already looks like a great outfit!! Anyway, yeah pasti banyak ceritanya hehehe dateng ke show apa aja kak titaz? looking forward to see your post about jfw! caramba! cool pics hope you feel better! wow your bracelets are beautiful- great colours!!! looove your colorful bracelets oh and your ring and brogues too! Loving all the arm candy! Bolts of color for gloomy days...perfection! Thank you for visiting my blog and leaving such thoughtful comments, hope to see you back sometime! thank you for visiting my blog and leave the comment. will come to ur blog as soon as possible and reply all of ur comment. wanna follow each other ..?? Ooooh I love your blog, following!